A classic combination of the 7 night Nile Cruise, followed by 3 nts in Cairo allowing time to visit the Pyramids and to discover the treasures of the Egyptian Museum. Travel by night-train for an authentic experience and finish off with a relaxing stay in Luxor. Fly to Luxor direct with a charter flight from the UK. Arrive in Luxor and transfer to your chosen Nile boat. After breakfast leave by coach for the West Bank to - visit two or three of the stunning tombs in the Valley of the Kings and at least two more in the Valley of the Queens. Continue to the Temple of Hatshepsut and the Colossi of Memnon, a pair of enormous statues. Sail to Edfu. Optional excursion to Abu Simbel with its magnificent Temples, perhaps the most awe-inspiring of the temples. Optional evening excursion to Sound & Light Show at the Temple of Isis at Philae. Breakfast followed by disembarkation and day at leisure in Luxor before boarding the night train to take you overnight to Cairo. Arrive in Cairo. 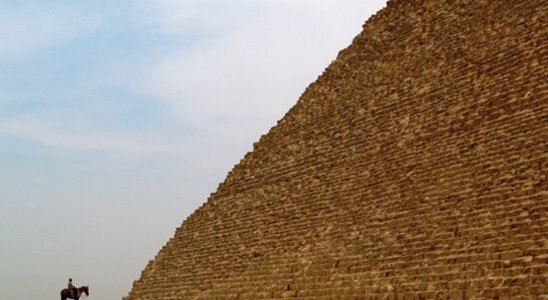 Optional full day excursion to the iconic Sphinx and Pyramids of Giza. After lunch visit the famous Step Pyramid and decorated tombs of Saqqarah. Optional full day city tour starting with a visit to the fascinating Egyptian Museum. After lunch continue to the ancient Citadel before some time for shopping in the famous Khan El Khalili Bazaar. Spend the day at leisure in Cairo before boarding the night train to return to Luxor. Arrive in Luxor, where you can choose to spend your time exploring more history, revisiting the Temples of Luxor and Karnak, making further trips to the Valley of the Kings and taking in such sites as the Mummification Museum. Alternatively, relax by the pool and soak up the sun, or barter in the local souk for souvenirs of your holiday. Depart Luxor for your charter flight back to the UK. What is included in the price of your holiday: 7 nights Nile cruise staying on the M.S Nile Premium boat based on full board including, breakfast, lunch, dinner and afternoon tea; 2 night stay in Sofitel Le Sphinx hotel in Cairo based on bed & breakfast; 3 night stay at Sonesta St George in Luxor. Return charter flight from UK to Luxor. Return night train from Luxor to Cairo. Private transfers in airconditioned car from all airports in Egypt to accommodation. Excursions as detailed above (excluding optional excursions), accompanied by a fully qualified English-speaking Egyptologist.